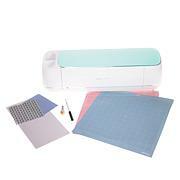 For maximum control and unlimited creativity, add this all-encompassing Cricut® Maker™ bundle to your craft room. 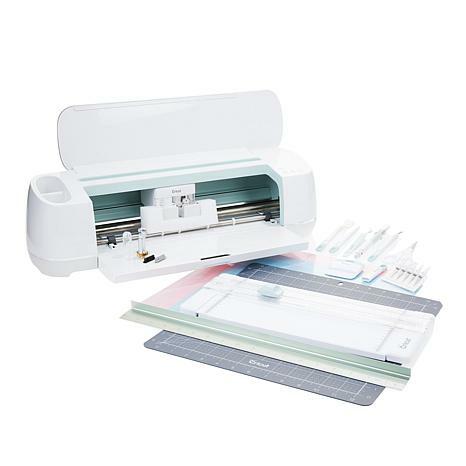 It comes complete with all the goodies you need for any project, including Maker™ accessories, digital sewing projects and must-have crafting tools. With this bundle at hand, you'll achieve precise cuts fast and perfect every design detail! 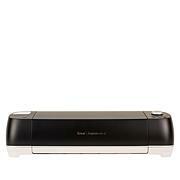 Cricut cutting ruler - 18"
Cricut Maker™ has recommended minimum system requirements for use. 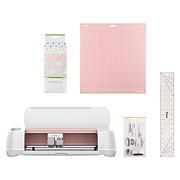 From time to time the recommended minimum system requirements for Cricut Maker machines and/or Cricut Design Space software and app may change to help improve software performance while complying with operating system updates. As updates are made to the software and/or app, some minimum system requirement updates will be mandatory. Design features and functionality may vary between computers, tablets and smartphones. Memory needs will vary based on usage. I purchased the mint one as green is one of my favorite colors. I've been wanting a Maker for a while, as I have the Explore Air 1 and I wanted to be able to do more with my crafts. Let me tell you, I LOVE this machine. it cuts so much better than the Explore Air I have. I don't know what they did to improve on the cutting, but to me it cuts all my paper so much better and faster, less tearing on the intricate cuts. I've only done fabrice once so far and that was really awesome. This machine is awesome! It can do amazing things and is easy to use. Im a newbie to crafting, but after seeing this on YouTube, I had to have one. Its very easy to use, especially if you watch the right videos. Im simply amazed at everything this can do. My first project was waterslide decals. Came out fantastic!! If you are the slightest bit crafty, buy it!! !